Cool, I'll check it out when I get back home. Thanks! Stars are showing in daylight. The clouds are not appearing for some reason. I'm almost sure that is not caused by BS. Wrong installation of required mods most likely. This happen in the single play and SAMP, it come and go, and then stays longer then goes. I tried SilentPatch and Skygfx pass rendering still bug appears. New skybox textures, also included source images. Can you make it compatible to a version without "Open Limit Adjuster"? I am using the Silent Patch only (and I miss the clouds). When I delete "Better SkyBox" out of my mods, my savegame won't load anymore. Why is that? Now the objects shouldn't get stuck on your savegame anymore.Still I would recommend you to test this before using your main save. Would it be better to try to use SAMP compatible IDs? So add the objects without replacing in SAMP? I don't like this because SAMP may end up replacing those IDs in the future and you will be forced to adapt the Better Skybox, since the inverse will not happen. But it seems to be the best solution. Or replace only objects with no collision. I have the latest version of the BS. There are two versions in the modloader: "BetterSkybox" and "BetterSkybox - SAMP". I can play in singleplayer if I delete/disable "BetterSkybox - SAMP". I can play in multiplayer(samp) if I delete/disable "BetterSkybox". The game begins to crash, if: In the modloader at once two versions; There is no version in the modloader; There is an inappropriate version in the modloader. I tested the game without other mods, but this crash still remained. Can you help me? Or have I done something wrong? I'm pretty sure I asked for MOONloader's log file,not MODloader's. Can you actually please write a proper installation guide? It's not working for me at all even though I've downloaded everything needed. Ops. Sorry, please. My fault. [16:22:25.326400] (system)	Session started. [16:22:25.342400] (debug)	Module handle: 62D80000MoonLoader v.025-beta loaded.Developers: FYP, hnnssy, EvgeN 1137Copyright © 2016, BlastHack Teamhttp://blast.hk/moonloader/[16:22:25.342400] (info)	Working directory: D:\Kostya\GTA San Andreas\GTA SA\moonloader[16:22:25.342400] (debug)	FP Control: 0009001F[16:22:25.342400] (debug)	Game: GTA SA 1.0.0.0 US[16:22:25.342400] (system)	Installing pre-game hooks...[16:22:25.343400] (system)	Hooks installed. [16:22:29.792400] (debug)	Initializing opcode handler table[16:22:29.792400] (debug)	package.path = D:\Kostya\GTA San Andreas\GTA SA\moonloader\lib\?.lua;D:\Kostya\GTA San Andreas\GTA SA\moonloader\lib\?\init.lua;D:\Kostya\GTA San Andreas\GTA SA\moonloader\?.lua;D:\Kostya\GTA San Andreas\GTA SA\moonloader\?\init.lua;.\?.lua;D:\Kostya\GTA San Andreas\GTA SA\moonloader\lib\?.luac;D:\Kostya\GTA San Andreas\GTA SA\moonloader\lib\?\init.luac;D:\Kostya\GTA San Andreas\GTA SA\moonloader\?.luac;D:\Kostya\GTA San Andreas\GTA SA\moonloader\?\init.luac;.\?.luac[16:22:29.792400] (debug)	package.cpath = D:\Kostya\GTA San Andreas\GTA SA\moonloader\lib\?.dll;[16:22:29.792400] (system)	Loading script 'D:\Kostya\GTA San Andreas\GTA SA\moonloader\BetterSkybox.lua'...[16:22:29.792400] (debug)	New script: 05491C1C[16:22:29.802400] (system)	BetterSkybox: Loaded successfully. [16:23:49.402000] (system)	Installing post-load hooks...[16:23:49.402000] (system)	Hooks installed. [16:23:49.492000] (script)	BetterSkybox: @getIDsTable:	Using SP models table... [16:23:49.651000] (script)	BetterSkybox: @load_sky(): Requesting SF_Sunny w/ ID 15135[16:23:49.651000] (script)	BetterSkybox: @load_sky(): Requesting DS_Night w/ ID 15148[16:23:49.651000] (script)	BetterSkybox: @load_sky(): Requesting CS_Night w/ ID 15147[16:23:49.651000] (script)	BetterSkybox: @load_sky(): Requesting LS_Night w/ ID 15144[16:23:49.651000] (script)	BetterSkybox: @load_sky(): Requesting DS_Sunny w/ ID 15138[16:23:49.651000] (script)	BetterSkybox: @load_sky(): Requesting SF_Night w/ ID 15145[16:23:49.651000] (script)	BetterSkybox: @load_sky(): Requesting LV_Night w/ ID 15146[16:23:49.651000] (script)	BetterSkybox: @load_sky(): Requesting SF_Cloudy w/ ID 15140[16:23:49.651000] (script)	BetterSkybox: @load_sky(): Requesting DS_Cloudy w/ ID 15143[16:23:49.651000] (script)	BetterSkybox: @load_sky(): Requesting CS_Cloudy w/ ID 15142[16:23:49.651000] (script)	BetterSkybox: @load_sky(): Requesting LS_Cloudy w/ ID 15139[16:23:49.651000] (script)	BetterSkybox: @load_sky(): Requesting CS_Sunny w/ ID 15137[16:23:49.651000] (script)	BetterSkybox: @load_sky(): Requesting LS_Sunny w/ ID 15134[16:23:49.651000] (script)	BetterSkybox: @load_sky(): Requesting LV_Sunny w/ ID 15136[16:23:49.651000] (script)	BetterSkybox: @load_sky(): Requesting LV_Cloudy w/ ID 15141[16:23:49.896000] (script)	BetterSkybox: @createSkies():	Sunny[16:23:49.906000] (script)	BetterSkybox: @getIDsTable:	Using SP models table... [16:23:49.906000] (script)	BetterSkybox: @createSkies():	Attemping to create SF_Sunny w/ modelID 15135...[16:23:49.926000] (error)	opcode '029B' call caused an unhandled exception[16:24:32.900000] (system)	Unloading...[16:24:32.900000] (system)	BetterSkybox: Script terminated. (05491C1C)[16:24:33.070000] (system)	Session terminated. [16:19:57.490000] (system)	Session started. [16:19:57.521200] (debug)	Module handle: 62D80000MoonLoader v.025-beta loaded.Developers: FYP, hnnssy, EvgeN 1137Copyright © 2016, BlastHack Teamhttp://blast.hk/moonloader/[16:19:57.521200] (info)	Working directory: D:\Kostya\GTA San Andreas\GTA SA\moonloader[16:19:57.521200] (debug)	FP Control: 0009001F[16:19:57.521200] (debug)	Game: GTA SA 1.0.0.0 US[16:19:57.521200] (system)	Installing pre-game hooks...[16:19:57.521200] (system)	Hooks installed. [16:20:10.288400] (warn)	Memory test at address 761F3A72 has failed. Value is 'E9 D9 B3 5C 8E', expected 'E9 49 4F BA EC'. [16:20:15.873600] (debug)	Initializing opcode handler table[16:20:15.873600] (debug)	package.path = D:\Kostya\GTA San Andreas\GTA SA\moonloader\lib\?.lua;D:\Kostya\GTA San Andreas\GTA SA\moonloader\lib\?\init.lua;D:\Kostya\GTA San Andreas\GTA SA\moonloader\?.lua;D:\Kostya\GTA San Andreas\GTA SA\moonloader\?\init.lua;.\?.lua;D:\Kostya\GTA San Andreas\GTA SA\moonloader\lib\?.luac;D:\Kostya\GTA San Andreas\GTA SA\moonloader\lib\?\init.luac;D:\Kostya\GTA San Andreas\GTA SA\moonloader\?.luac;D:\Kostya\GTA San Andreas\GTA SA\moonloader\?\init.luac;.\?.luac[16:20:15.873600] (debug)	package.cpath = D:\Kostya\GTA San Andreas\GTA SA\moonloader\lib\?.dll;[16:20:15.873600] (system)	Loading script 'D:\Kostya\GTA San Andreas\GTA SA\moonloader\BetterSkybox.lua'...[16:20:15.873600] (debug)	New script: 05DDF734[16:20:16.154400] (system)	BetterSkybox: Loaded successfully. If you installed everything correctly,there should be a log file inside Moonloader folder.Send it. Did you install Open Limit Adjuster right? I think yes. It should just be moved to a folder with GTA? I'm sure it works. Everything in the log file below. [20:42:40.944841] (system)	Session started. [20:42:40.948842] (debug)	Module handle: 72350000MoonLoader v.025-beta loaded.Developers: FYP, hnnssy, EvgeN 1137Copyright © 2016, BlastHack Teamhttp://blast.hk/moonloader/[20:42:40.948842] (info)	Working directory: C:\Program Files (x86)\Rockstar Games\San Andreas\scripts\moonloader[20:42:40.948842] (debug)	FP Control: 0009001F[20:42:40.948842] (debug)	Game: GTA SA 1.0.0.0 US[20:42:40.948842] (system)	Installing pre-game hooks...[20:42:40.948842] (system)	Hooks installed. 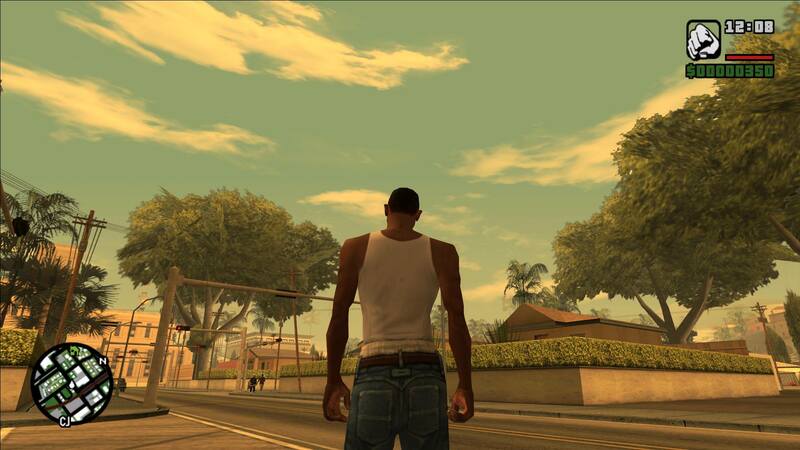 [20:42:42.426224] (debug)	Initializing opcode handler table[20:42:42.426224] (debug)	package.path = C:\Program Files (x86)\Rockstar Games\San Andreas\scripts\moonloader\lib\?.lua;C:\Program Files (x86)\Rockstar Games\San Andreas\scripts\moonloader\lib\?\init.lua;C:\Program Files (x86)\Rockstar Games\San Andreas\scripts\moonloader\?.lua;C:\Program Files (x86)\Rockstar Games\San Andreas\scripts\moonloader\?\init.lua;.\?.lua;C:\Program Files (x86)\Rockstar Games\San Andreas\scripts\moonloader\lib\?.luac;C:\Program Files (x86)\Rockstar Games\San Andreas\scripts\moonloader\lib\?\init.luac;C:\Program Files (x86)\Rockstar Games\San Andreas\scripts\moonloader\?.luac;C:\Program Files (x86)\Rockstar Games\San Andreas\scripts\moonloader\?\init.luac;.\?.luac[20:42:42.426224] (debug)	package.cpath = C:\Program Files (x86)\Rockstar Games\San Andreas\scripts\moonloader\lib\?.dll;[20:42:53.706044] (system)	Installing post-load hooks...[20:42:53.706044] (system)	Hooks installed. [21:00:34.827571] (system)	Unloading...[21:00:35.041167] (system)	Session terminated. "These skyboxes changes their textures smoothly accordingly to current time,weather and/or location." This isn't true for me. And when I see the screenshots my game barely looks like that, it will often just have crayon looking clouds. I mean sure it uses moonloader I guess that makes it better, more advanced than Cleo but at what cost? Buggy clouds that cannot even display the textures properly. Anyways hopefully someone will find a fix for this as of right not I cannot see what makes this better especially when I've been using this mod since it came out with same results and have constantly been removing and putting it back in. I've never had an issues with other sky box mod putting stuff into my save file. Did you try on a clean install? Sure you got no conflicts? For me, this is the only skybox i am willing to use, other ones failed me. Install prerequisites, then drag and drop in main directory where the .exe is located. You might want to remove the SAMP folder when playing SP and vice versa. @guru_guru The moon keeps glitching/flickering in SA-MP. Any solutions? Hey there, this mod or any other skybox which doesn't touch timecyc.dat won't work on my heavily modded game. I have everything i need according to the top post. No game error or anything, they just won't change the sky. I am using None ENB 0.248 if that is of any help. [14:25:26.385179] (info)	Working directory: E:\Games\GTA SAN ANDREAS\moonloader[14:25:26.385179] (debug)	FP Control: 0009001F[14:25:26.385179] (debug)	Game: GTA SA 1.0.0.0 US[14:25:26.385179] (system)	Installing pre-game hooks...[14:25:26.385179] (system)	Hooks installed. 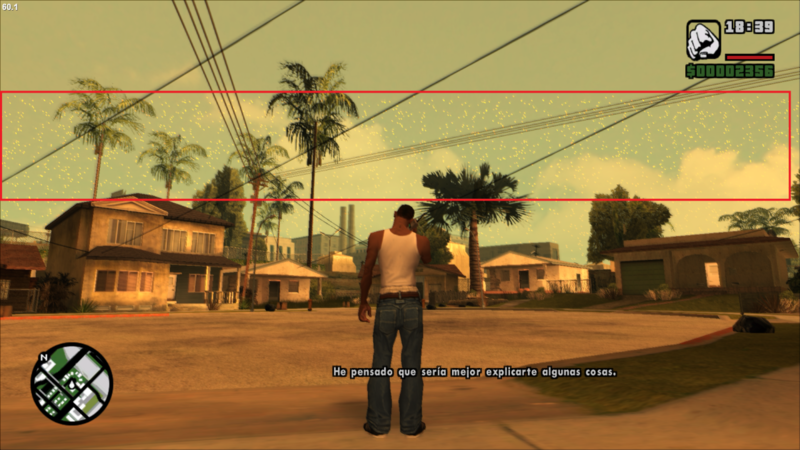 [14:25:31.063512] (debug)	Initializing opcode handler table[14:25:31.063512] (debug)	package.path = E:\Games\GTA SAN ANDREAS\moonloader\lib\?.lua;E:\Games\GTA SAN ANDREAS\moonloader\lib\?\init.lua;E:\Games\GTA SAN ANDREAS\moonloader\?.lua;E:\Games\GTA SAN ANDREAS\moonloader\?\init.lua;.\?.lua;E:\Games\GTA SAN ANDREAS\moonloader\lib\?.luac;E:\Games\GTA SAN ANDREAS\moonloader\lib\?\init.luac;E:\Games\GTA SAN ANDREAS\moonloader\?.luac;E:\Games\GTA SAN ANDREAS\moonloader\?\init.luac;.\?.luac[14:25:31.063512] (debug)	package.cpath = E:\Games\GTA SAN ANDREAS\moonloader\lib\?.dll;[14:25:31.066012] (system)	Loading script 'E:\Games\GTA SAN ANDREAS\moonloader\BetterSkybox.lua'...[14:25:31.066012] (debug)	New script: 0D219CD4[14:25:31.067514] (error)	BetterSkybox: E:\Games\GTA SAN ANDREAS\moonloader\BetterSkybox.lua:70: module 'MoonAdditions' not found:	no field package.preload['MoonAdditions']	no file 'E:\Games\GTA SAN ANDREAS\moonloader\lib\MoonAdditions.lua'	no file 'E:\Games\GTA SAN ANDREAS\moonloader\lib\MoonAdditions\init.lua'	no file 'E:\Games\GTA SAN ANDREAS\moonloader\MoonAdditions.lua'	no file 'E:\Games\GTA SAN ANDREAS\moonloader\MoonAdditions\init.lua'	no file '.\MoonAdditions.lua'	no file 'E:\Games\GTA SAN ANDREAS\moonloader\lib\MoonAdditions.luac'	no file 'E:\Games\GTA SAN ANDREAS\moonloader\lib\MoonAdditions\init.luac'	no file 'E:\Games\GTA SAN ANDREAS\moonloader\MoonAdditions.luac'	no file 'E:\Games\GTA SAN ANDREAS\moonloader\MoonAdditions\init.luac'	no file '.\MoonAdditions.luac'	no file 'E:\Games\GTA SAN ANDREAS\moonloader\lib\MoonAdditions.dll'stack traceback:	[C]: in function 'require'	E:\Games\GTA SAN ANDREAS\moonloader\BetterSkybox.lua:70: in main chunk[14:25:31.067514] (error)	BetterSkybox: Script died due to an error. (0D219CD4)[14:26:06.633966] (system)	Installing post-load hooks...[14:26:06.634967] (system)	Hooks installed. [14:26:54.202837] (system)	Unloading...[14:26:56.308865] (system)	Session terminated. You need moonaddition module to make it work as stated in your log. This is just my guess.